Source: Thanks so much to Indigo Books & Music Inc. for providing me with a physical ARC of this book! 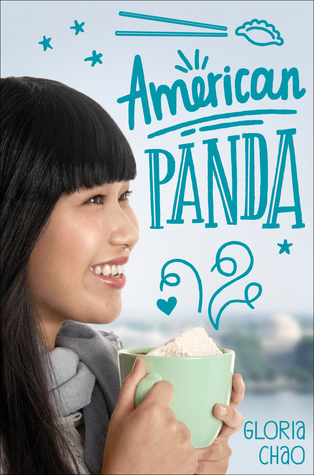 When the monthly Indigo ARC newsletter rolled around, the cover and synopsis of American Panda caught my eye right away. Seeing as it looked cute and it was culturally diverse, I knew right away that I needed to take a dive into it. Well, let me just say that the dive I took into this book was quite a fun one! While reading this book, I felt so happy inside that I felt like an adorable panda was hugging me. I just adored this story so much, and as more people check it out, I have a strong feeling that they will feel the same way about it. American Panda is basically about a seventeen year old girl named Mei, whose parents have quite ambitious plans for her future. Although Mei should technically be in her senior year of high school, her parents made her skip a grade, causing her to now be in university. What her parents would like her to do is become a doctor, marry an intelligent Taiwanese man to adhere with their culture, and have good children. However, Mei does not want to feel attached to these plans, picking dance over biology and feeling attracted to someone who is not of Taiwanese descent. Will meeting her long distance brother positively contribute to this process? Mei was for sure flawed, but what I liked the most about her was that she was authentic and real. Although it is rather risky to go up against your parents’ values, I liked how Mei identified that she was not obligated to follow them. She had strong values of her own and she was not afraid to do what made herself happy, and this shows that Mei is a tough character who does not let anyone interfere with the dreams that she wants to pursue for her own happiness. WE ALL NEED CHARACTERS (AND PEOPLE) LIKE THIS IN OUR LIVES! The storyline was also lots of fun! There were many interesting and diverse characters coming in and out of the story (including Mei’s estranged brother Xing), and I loved the inclusion of Mei’s hobby, which was dance. The plot wasn’t too slow nor too fast, which was great for my enjoyment. Overall, I do not regret picking up American Panda in the least. It was diverse, pure, funny, and light, all of which I strive to see in the contemporary books I read. Although this book lacked the emotional substance it needed to make for a 5-star read, it is the type of book that causes me to cast all of my worries aside and just be happy. Therefore, those in search of authentic and diverse characters, witty scenes and dialogue, and perfectly paced plots should search no further! i’m so excited to read this book!! !